It appears Senator Rand Paul's leftist neighbor is going to have to pay up big time for his assault. Sen. Rand Paul was awarded over $580,000 in damages by a Kentucky jury on Wednesday after he was attacked by his neighbor in the fall of 2017. Paul, R-Ky., was awarded $375,000 in punitive damages and $200,000 for pain and suffering, plus $7,834 for medical expenses. The lawmaker was violently attacked by his neighbor, Rene Boucher, in November 2017 while he was mowing his lawn. Paul was tackled from behind and suffered six broken ribs, including three displaced fractures. His recovery was complicated by fluid and blood around the lungs and recurrent pneumonia. [...][Boucher] was sentenced in June to 30 days in federal prison for the assault. He was also ordered to one year of supervised release, a $10,000 fine, 100 hours of community service, and ordered to have no contact with Paul's family. [...]Boucher's lawyer said they will appeal. Hopefully, that number will be doubled on appeal. Paul was asking for $1.5 million, which is perfectly reasonable considering he was almost killed. It's truly insane Boucher only got a slap on the wrist by the criminal courts for his assault. 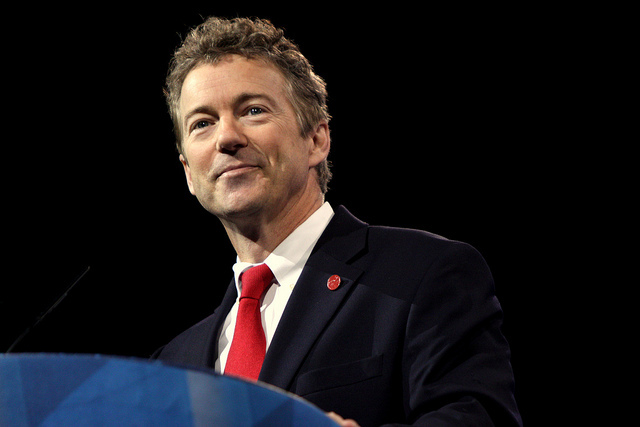 Thank God Paul survived as he's one of the only voices of reason in the Senate. He also survived the congressional baseball shooting by a crazed Bernie Sanders supporter back in 2017. This lawsuit wasn�t about me. It was about all of us and what we find acceptable as a society. We need to send a clear message that violence is not the answer - anytime, anywhere. We can hold different views, whether it�s politics, religion or day to day matters. It�s never ok to turn those disagreements into violent, aggressive anger. I hope that�s the message from today.